The Khmer civilization centred on Angkor was one of the most remarkable to flourish in Southeast Asia. Between the 8th and the 13th centuries, a succession of Hindu and Buddhist kings created magnificent temples in stone. Their elaborate carvings and intricate architecture amazed the first Europeans who visited in the 19th century and continue to fascinate today, when after many years of political turmoil, Angkor is once again accessible. 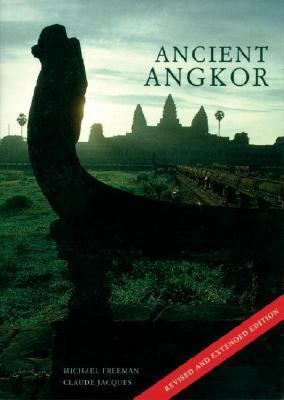 The renowned French scholar Claude Jacques has studied Angkor and its history for the past 30 years, while Michael Freeman has made many photographic trips there during a 15-year period; "Ancient Angkor "embodies the fruits of their collaboration and includes the results of new research and discoveries made during recent excavations. Detailed plans and descriptions unravel the complex reliefs of Angkor Wat and the Bayon, while small but interesting temples not covered in other books are also described. Grouping the temples into easy-to-visit itineraries, and with useful hotel and travel information, "Ancient Angkor "will serve both as a history of the temples in its own right and an invaluable companion guide.